2008 FAZ: Willkommen, "ihr reichen Europaer!" Whether you are buying or selling a home, purchasing residential or commercial property for investment, Anne Marie Moriarty’s extensive knowledge of New York City real estate will make the transaction a smooth and seamless process. An accomplished broker since 2005, Anne Marie spent many years with The Corcoran Group garnering coveted awards as a top 25 producer, and ranking in the top 2% of NRT nationwide. She continues to work with prominent clients including executives in all industries, high-profile celebrities, and foreign nationals from Europe to Australia and Asia seeking New York homes and investments. Her experience overseas and in New York City have also made Anne Marie a sought-after real estate resource for prominent media outlets. When working with her international clientele (she holds an EU passport), who sometimes have mere days to find what they are looking for, she understands the needs and nuances of various cultures. Anne Marie also represents local and domestic buyers and sellers who trust her unparalleled expertise, and stellar reputation for discretion and professionalism. 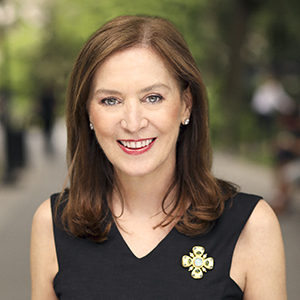 New York born and raised, Anne Marie has lived on the Upper East Side of Manhattan for over 20 years. She previously resided in Brooklyn and the Upper West Side, and has sold properties throughout Manhattan, Brooklyn, as well as parts of Queens. Her portfolio of properties features a combination of classic New York architectures as well as stunning conversions and new developments to suit every client’s tastes and needs. “One of the reasons I love New York City is for its architectural diversity and individual character of each neighborhood. Outstanding homes are blessed with the vibrancy of their surrounds, which are often just as important as the residence itself,” she says. Anne Marie holds a B.S. degree at Syracuse University. Before beginning her real estate career in real estate, she spent 15 years in the demanding magazine publishing industry in advertising sales and management. She worked for leading firms like Condé Nast and Hearst, and was the launch Advertising Director for the weekly magazine “In Touch.” Her creative background and eye for detail give her a distinct edge in uniquely marketing clients’ properties to ensure maximum exposure. On the personal side, Anne Marie enjoys spending time with her great group of friends and is close with her family. She loves to travel, be active, and enjoy all the city has to offer.